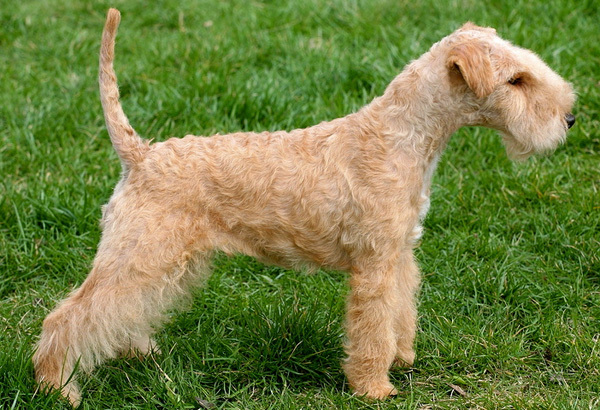 The Lakeland terrier is known as one of the oldest of all the working terrier breeds in existence. 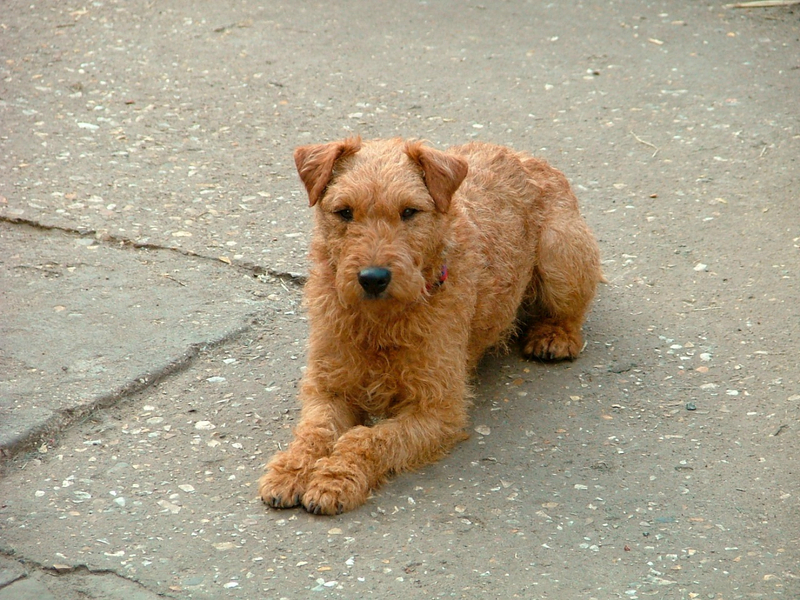 The Lakeland terriers were specifically bred to withstand the ferocious attacks of foxes and badgers who were protecting their respective rocky dens from hunters. 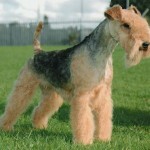 They also do well in the show ring due their obedient nature and respect for authority. They are also known as great companion dogs and are very comforting for their masters. 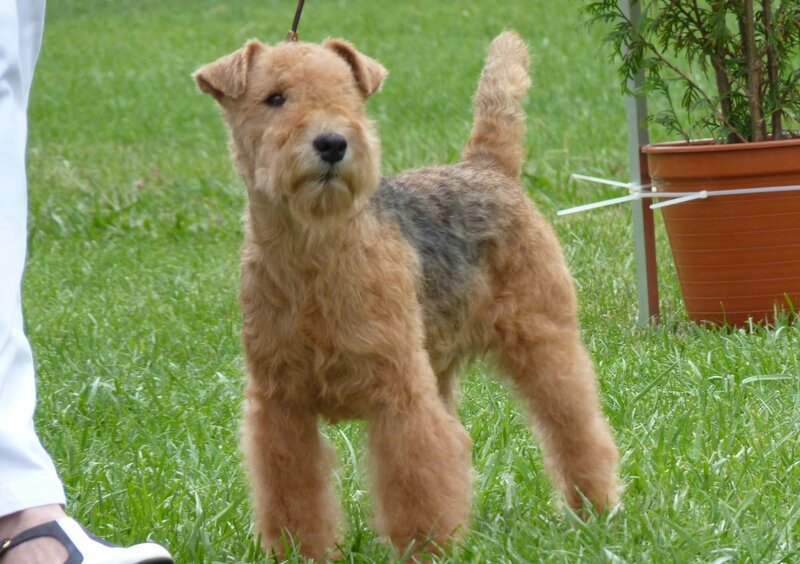 They are known to bark a lot and dig as well, if you have a lovely garden then you may want to rethink about breeding or adopting a Lakeland terrier. There are many viewpoints regarding the year of origin for the Lakeland terriers with some claiming it to be 1922 vs 1928. 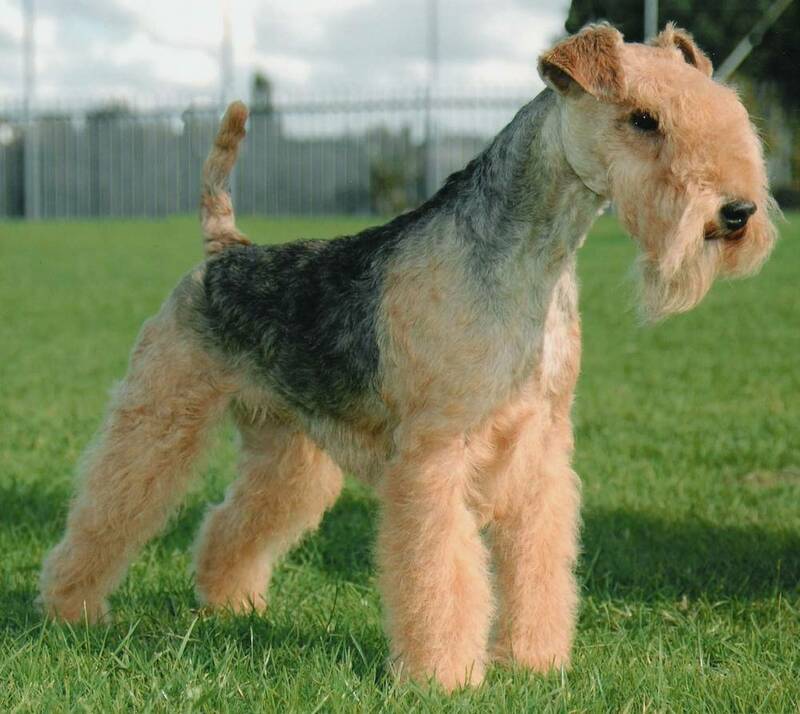 This breed was created to help in hunting activities and attained homogeneity following a cross breed effort between the Fox terrier and the Airedale species in 1926. They are bred exclusively in the UK and are generally found in rocky terrain as such relief is suitable for hunting foxes on horseback / on foot. They are known to have great stamina due to the time spent with hounds and are known to chase their prey for miles if needed. 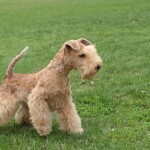 Due to their incredible stamina and use in hunting parties the Lakeland terrier is very well built and resistant breed. They are only known to suffer from minor eye problem and the rare decomposition of the bone connecting the knee to the hip. 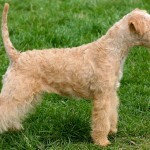 The Lakeland terrier is a true bearer of the terrier breed flag and is known to be a fearless dog with a heart of gold. They love running and chasing a potential prey and have been known to keep their puppy like innocence and energy even after they become full grown adults. They are great for the entire family and like to be around well-mannered children. Their typical nature is similar to those of teenagers as they love to be independent and although they love their masters, they still need their alone time. 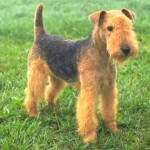 Since the Lakeland terrier is a hunting breed it would be cruel to keep them locked up. They need regular exercise and need a walk (rather a run) at-least twice a day. Beware of your fitness levels while walking your Lakeland terrier as he can easily drain your down and still keep sprinting like a horse. Proper obedience training for your Lakeland terrier is a must or else they would behave like the alpha member of the house. Like their other counterparts Lakeland terriers do not easily adjust to small houses. They have their own notion of appropriate behavior which is generally drastically different than yours. They are also big barkers and would protect their food and toys. This can be a problem if you live in a multistoried apartment. They are also very intelligent and are not satisfied with trivial activities. 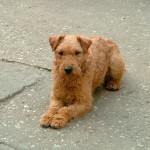 Lakeland terriers are known to have a rectangular forehead and an intense facial expression. Their ears are V-Shaped with a little fold towards the upward direction. 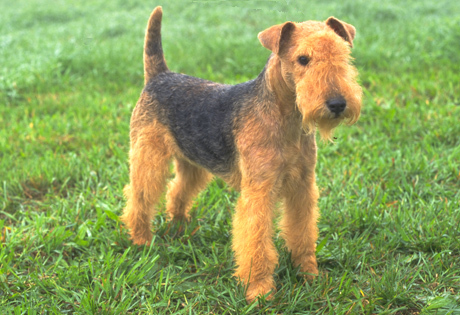 As stated earlier Lakeland terriers fall under the small breed dog classification with their height ranging from 13–15 inches (33–38 cm). 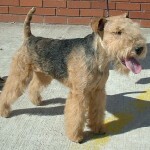 The healthy weight of a full grown male Lakeland terrier should be between 15–17 pounds (7–8 kg). 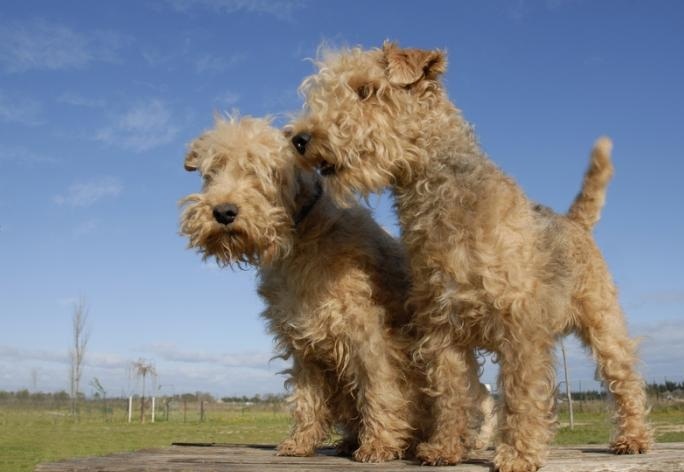 Lakeland terriers have a double coat which is very dense consisting of a hard coat to protect them from thorns and an inner coat to keep them warm. 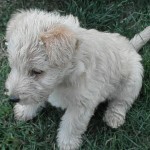 They are generally found in Wheaten, Black & Tan, Blue, Black, Grizzle & Tan, Red colors. 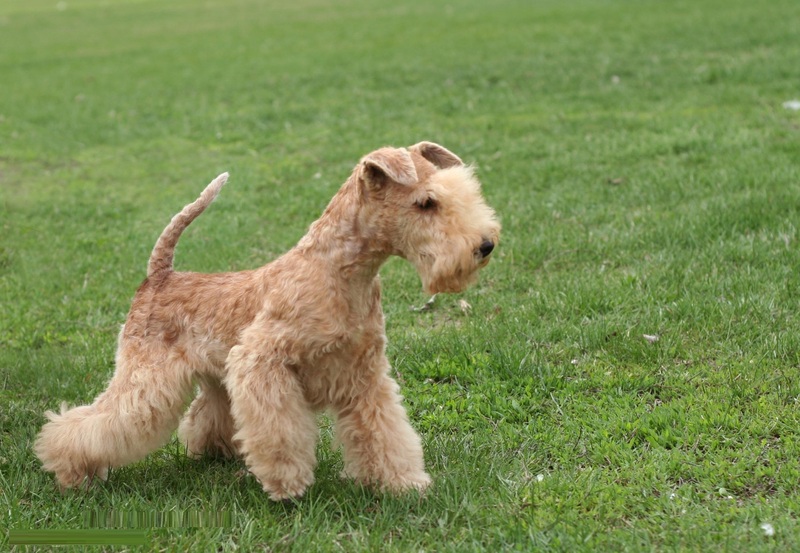 Lakeland terriers need extensive care in the form of brushing their coat from time to time to remove any dirt deposition (since they play outdoors). You would also need to trim their nails at-least once a month least they would rip off your precious apartment carpet. 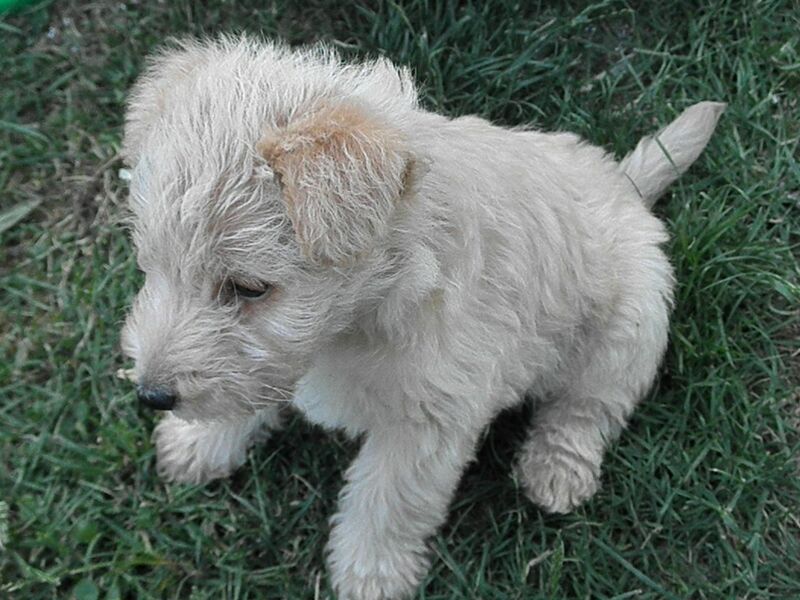 Lakeland terriers although small are strong and sturdy dogs with a well-defined bone structure. They have a fine balance between their body weight and their agility and can be quite a handful. Their leg shape gives them a cylindrical appearance and many owners have reported that they seem to be walking on their toes. 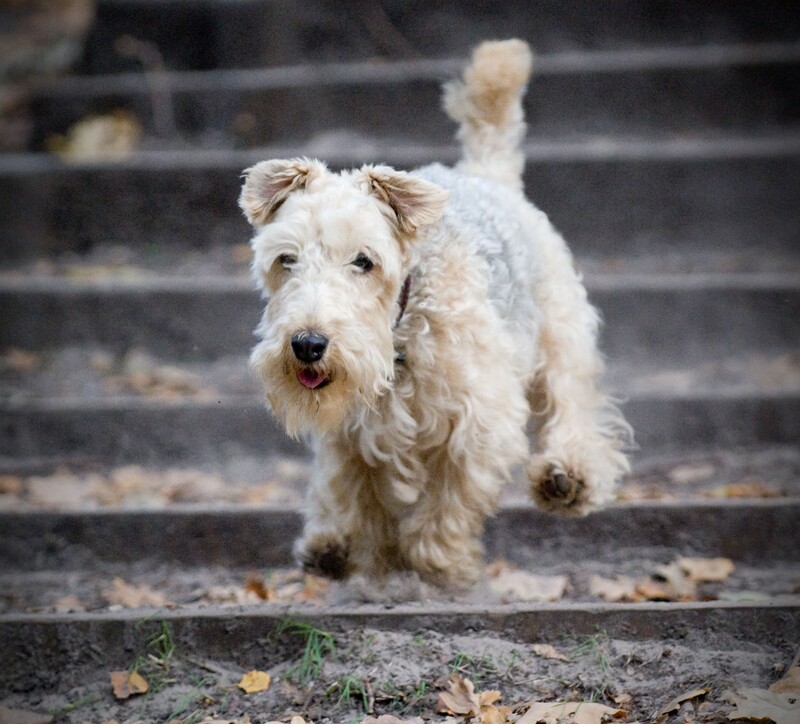 Full of energy – Lakeland terriers easily get excited and are full of infectious energy. 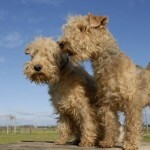 Intelligent –Lakeland terriers are known to be one of the most intelligent dog species. They often tend to take advantage of a weak owner and can behave as if they own the house. There is an inherent need in them to recognize or become the alpha in the house. Hunters – Due to several years of evolution your Lakeland terrier may not hunt other animals but will not hesitate from chasing and often hurting them. You need to keep them on a leash when venturing outdoors unless you have a fenced garden for them. 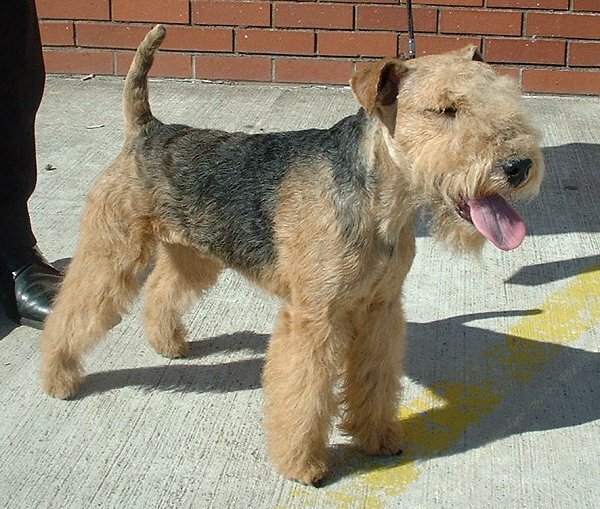 Frequent Barking – Lakeland terriers can be extremely territorial and have a nasty habit of loud barking. 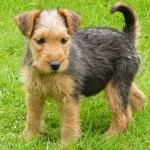 Stubborn – Adult Lakeland terriers can be very stubborn unless they were properly crate trained as young puppies. Possessive – Lakeland terriers are very possessive about their food and toys and children should stay away when they are having a meal. Although Lakeland terriers are very loyal they still have an independent nature and do not like to be supervised the entire day. They can stand perfectly still for long periods of time and would look like they are zoning in on a prey. 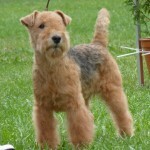 You would need to keep your Lakeland terrier clean as they tend to dig up dirt and play outdoors. Always keep them on a leash when you go for a walk as their hunting instinct can kick in anytime. 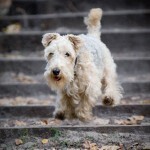 The Lakeland terriers are an energetic breed and need to be well fed. It is recommended to give them 1 cup of nutritious dog food at-least twice a day. Lakeland terriers tend to drain themselves out in pursue of their hunting instincts and hence good nutrition is a must for them. 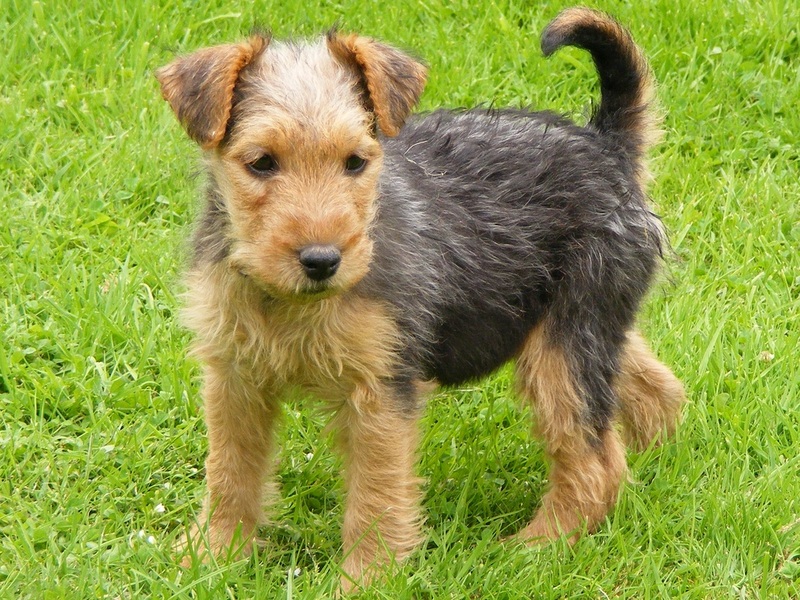 Its other names are Cumberland terrier, Fell terrier, Patterdale terrier, Colored Working terrier and Westmorland terrier. It is a small dog breed. It has a life span of about 12-16 years. It sleeps about 10 hours a day. Its lower classification has less stout body and a relaxed facial expression.